Dr Mire’s book, The Unbreakable Pearl, is about her hometown Mogadishu, the Pearl of the Indian Ocean. Sada conducted a pilot project on the town of Mogadishu, the capital of Somalia. This project was facilitated by the British Institute in Eastern Africa, based in Nairobi (2009), where Sada carried out archival studies. Mogadishu is an ancient trade centre mentioned in the Periplus of the Erythraean Sea. Mogadishu’s history has been established from through hinterland trade with Somali kingdoms from the mid first millennium CE. It was visited by many early Chinese and Arab travellers including Zheng He of China in 1405 and Moroccan Ibn Batuta in 1331, who noted that a Somali Sultan ruled then. Also, early Portuguese travellers give accounts of Mogadishu. Ming dynasty Chinese sources describe trade and diplomatic exchange with the town of Mogadishu. Later also Zanzibari Sultans took over before handing it over to Italy in the end of the 19th Century. 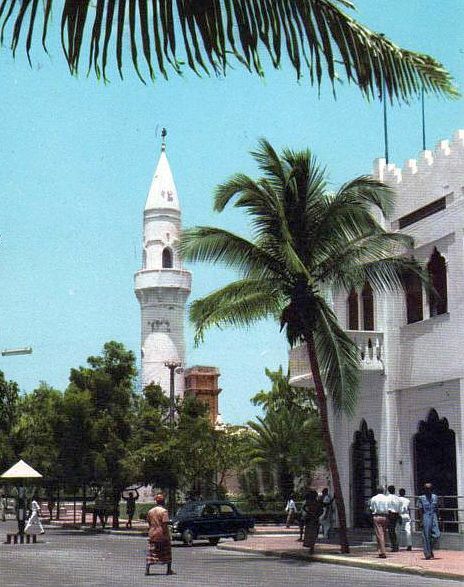 Mogadishu is part of the Swahili culture and the architecture of its ancient quarters as well as people and traditions resemble the World Heritage site of Lamu Old town, Kenya. Recent history of colonial and post-colonial era demonstrates interesting changes in terms of demography, culture and politics. Dr Sada Mire carred out an archival research into material and files about Mogadishu at Rome (Oct-Nov 2011), London (2010) and Nairobi (2009 at the BIEA). One of the resulting publications for this mission is Dr Mire’s paper: “Preserving Knowledge, not Objects: A Somali Perspective for Heritage Management and Archaeological Research”. African Archaeological Review. 2007. Dr Mire continues to gather data and conduct interviews to write about this now much wounded, but always beautiful East African town. Dr Mire has lived in Mogadishu for 13 years, and grew up there. She saw it when it was in its most beautiful glory as well as when it was subjected to unimaginable violence. As Mire articulated in her Mosaicroom’s talk, she believes this town has been of paramount significance for East Africa and it should take its deserved place in world history. Her study writes about key urban and socio-political and cultural developments of Mogadishu, from its earliest foundations to the current century. This will be illustrated with rare images recording and documenting critical events and changes. Article: “Preserving Knowledge, not Objects: A Somali Perspective for Heritage Management and Archaeological Research”. African Archaeological Review. 2007.